Take a break from Mumbai with a short trip to Juma Masjid in Navi Mumbai, about 54 minutes away. Pack the 17th (Fri) with family-friendly diversions at KidZania Mumbai. Next up on the itinerary: pause for some photo ops at Gateway of India, take in the views from Bandra-Worli Sea Link, admire the striking features of Chhatrapati Shivaji Terminus, and get engrossed in the history at Mani Bhavan Gandhi Museum. 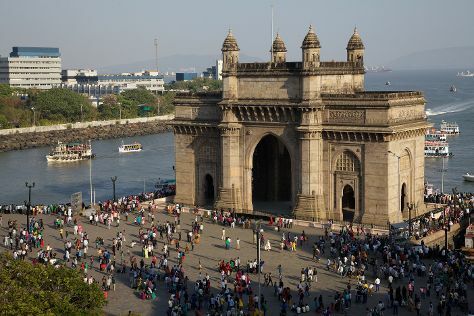 For where to stay, photos, other places to visit, and other tourist information, read our Mumbai trip itinerary planner . In May, plan for daily highs up to 39°C, and evening lows to 31°C. Finish your sightseeing early on the 18th (Sat) so you can travel back home.